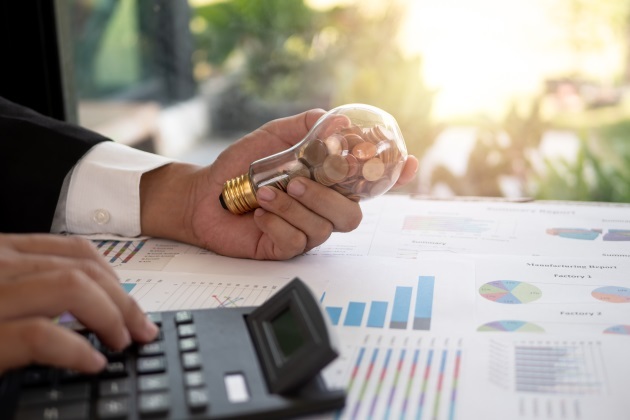 U.S. states are investing more in their energy efficiency efforts to deliver increased power savings even as the federal government is freeing the reigns of some of its environmental rules, according to the 2018 State Energy Efficiency Scorecard. 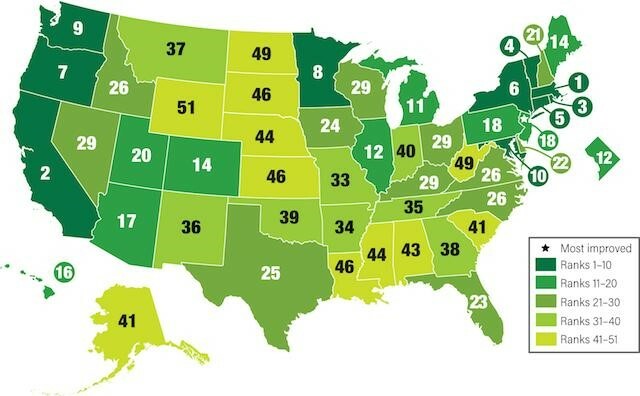 Per the report, the 12th annual version, dispatched by the American Council for an Energy-Efficient Economy (ACEEE), there are clear leaders nationally — Massachusetts and California — as well as most-improved states — like New Jersey. Some states lost ground from previous reports (Iowa), and others are lagging behind, including North Dakota, West Virginia and Wyoming. The ACEEE "scorecard" says its most recent report contains mostly good news about energy efficiency — the nation’s third-largest electricity resource. For example, several states are retaining their own standards to promote electric vehicles and zero-efficiency buildings — even as the federal government is freezing efforts to U.S. vehicle and appliance standards. Virginia, New York, New Jersey, Colorado and Arkansas displayed their respective plans to boost investments in efficiency and clean energy. The scorecard provides its ranking based on 32 metrics in six areas. New Jersey improved the most, moving up five ranks to No. 18, from previous reports by setting new annual energy savings targets and taking steps to rejoin the Regional Greenhouse Gas Initiative, a multistate cap-and-trade emissions compact. Missouri, Connecticut, Colorado and South Dakota showed marked improvement, the ACEEE said. Massachusetts continued to rank No. 1 overall. "It launched a plan to set new three-year energy savings targets and approved utility spending for grid-scale modernization," the ACEEE said in a statement. California, second, led efficiency efforts in buildings, transportation and appliances. Iowa dropped the most by slipping five spots to No. 24 mostly because of a bill that imposes a restrictive cap on efficiency programs and allows customers to opt out of paying for some of them. In total, 16 other states also fell in the rankings. States spent about $8 billion last year, up from $7.6 billion in 2016. The result was a 7.3 percent increase in electricity savings, or enough to power about 2.5 million U.S. homes per year. In the facility construction and management sector, more states pushed for zero-energy construction through tougher building codes. California requires homes and commercial buildings to be net zero-energy by 2020 and 2030, respectively. Vermont, Rhode Island, Oregon, Washington, the District of Columbia and Massachusetts have incorporated net zero-energy construction into long-range plans. "States are stepping up on energy efficiency, including major new commitments in New Jersey, New York, and Virginia, helping to address the very limited activity from Washington, DC," said ACEEE executive director Steve Nadel. "These efforts contributed to the 2.25 million-plus efficiency jobs last year in the United States." California and Vermont led in setting appliance standards. California, which has standards for 100-plus products, set new standards for computers, computer monitors, among other products. Vermont adopted new standards for 16 products. The scorecard assesses state policies and programs in six areas: utilities, buildings, transportation, state government, combined heat and power, and appliance standards. It highlights best practices for promoting energy efficiency, typically the lowest-cost way to meet customers’ energy needs.